Twenty-five students from Boulder Creek High School in Anthem are heading to Washington, DC at the end of November for the trip of a lifetime. 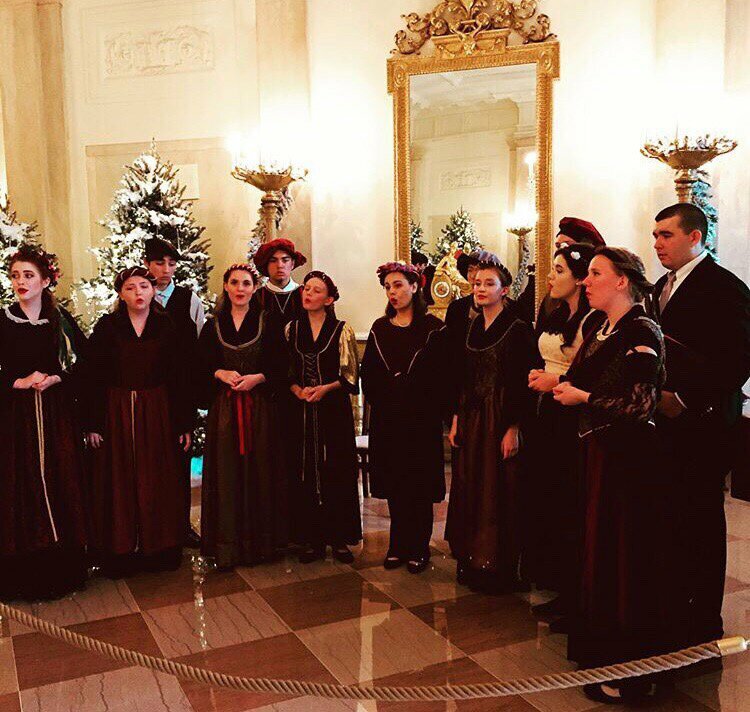 The Madrigal Singers, part of the the school’s choir program, will be singing at the White House and the Congressional Club over the first weekend in December. Madrigals are a special choir that meets over the lunch period and spans multiple grade levels and pulls students from the other traditional, award-winning choirs at the school. They dress in renaissance costume and typically sing period pieces. But for this trip, they’ll be singing Christmas Carols in the Grand Foyer of the White House. Director Nancie Tobison has been to The White House before, performing with groups under three presidents. Last year she took BCHS students (pictured) along with an adult choir from the Chicago area. You can see the Madrigal Singers as well as enjoy Christmas favorites performed by all seven BCHS choirs at the Winter Concert December 12-14 at Boulder Creek. This will be the tenth season under the direction of the school’s Music Director, Kirk Douglas. Tickets are available at BCJagChoir.com. 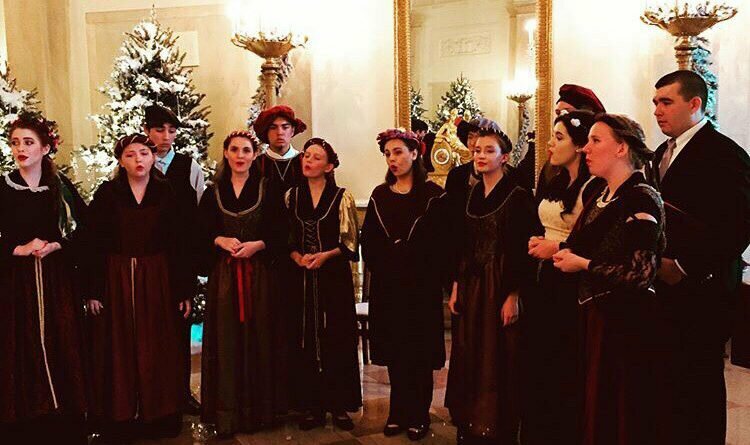 The Madrigal Singers are available to perform at holiday parties in exchange for donations to offset costs of their trip. Email ntobison@gmail.com or call 623-236-5753 to book. Anthem resident Lara Gates is executive director of the Rocky Mountain Southwest Chapter of the National Academy of Television Arts and Sciences. She's a former managing editor of In&Out Magazine and prior to that was an executive producer in local television.